The most famous place in the world for those seeking fame and fortune is Hollywood. Legends of the silver screen have graced its streets and made their homes there. As a result, those who live there also die there and are often laid to rest in the most star-studded cemetery on the planet. 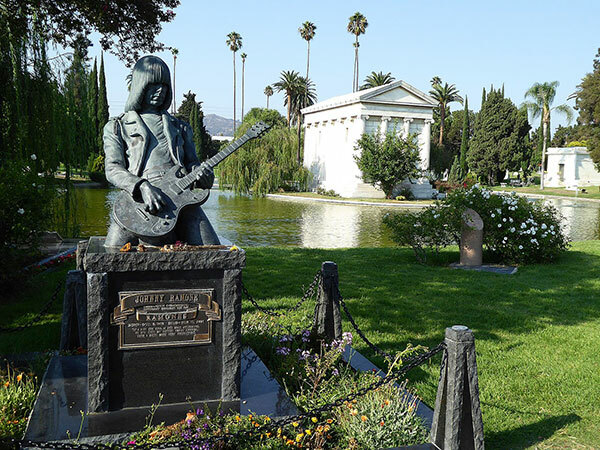 Hollywood Forever is a cemetery unlike any other – the final resting place for more of Hollywood’s founders and stars than anywhere else on earth. The cemetery was founded in 1899 and became part of the growth of the sprawling town of Hollywood. In fact, Paramount Studios were built on part of the original Hollywood Cemetery. The huge site is home to most of the founders of Hollywood’s studios, as well as writers, directors, and most importantly to the thousands of tourists who flock there, actors. listed on the National Register of Historic Sites. Some of the famous folk who are buried there include the likes of Cecil B DeMille, Rudolph Valentino, Douglas Fairbanks, Mickey Rooney, Nelson Eddy, Peter Lorre, Tyrone Power and Clifton Webb. The cemetery itself is right in the heart of the metropolis and the famous Hollywood sign in the hills can be seen from the site. A mixture of old and new headstones and monuments, Hollywood Forever houses two indoor mausoleums – white buildings with stained glass skylights – and thousands of outdoor graves. actress Joan Hackett, movie mogul Jesse Lasky, actress Darla Hood and Charlie Chaplin Jr, Charlie Chaplin's son. Actor Clifton Webb, who died in 1966, is interred nearby. The second building is called the Hollywood Cathedral Mausoleum, and is located south of the picturesque lake in the cemetery. Here you can find the crypts of actors Rudolph Valentino, Peter Finch, David White, Rick Jason, actor and director William Desmond Taylor (who was murdered in 1922), actor Peter Lorre and one of the founders of the city Harvey Wilcox. Meanwhile, the grave of Mickey Rooney, one of the biggest stars of the golden age of Hollywood, is situated on the outside of the mausoleum.